Great duplex! Live in 1 side, rent the other to make your mortgage payment! Well maintained with 2 BRs, 1 Bath, 1 Car, full basement each side! All appliances included for both units! Storm shelter in west unit! West side has sliders to small deck! 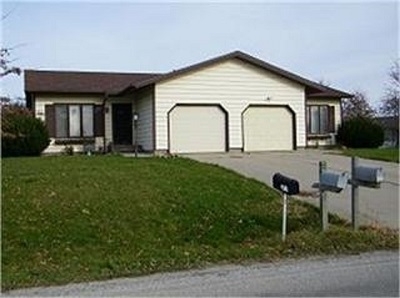 Priced way below assessed value! Pictures are just of the west side unit. Call today!